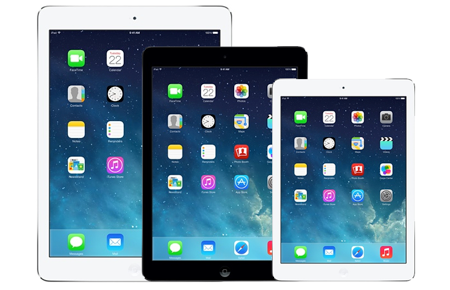 Apple has finally revealed the widely rumored iPad mini 4 and iPad Pro with a 12.9-inch display. 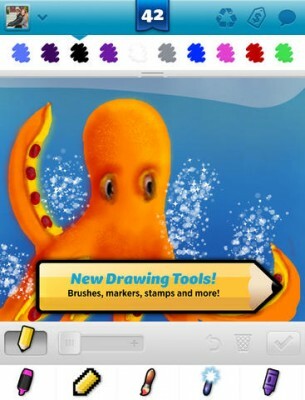 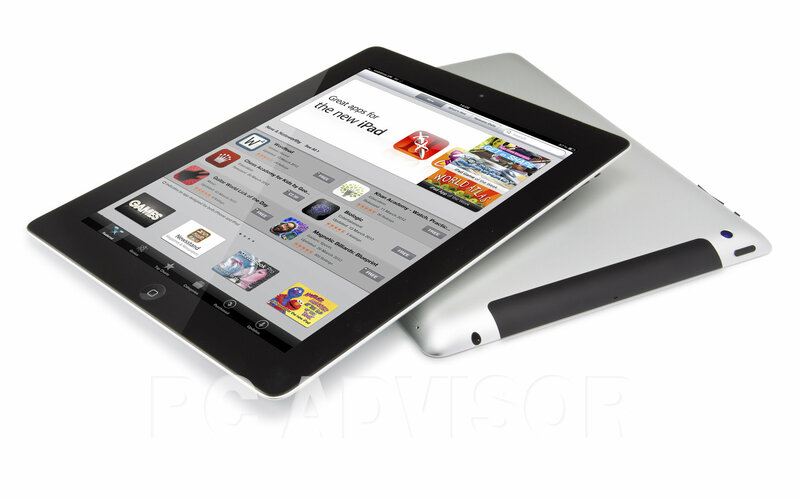 Both tablets can boast of updated hardware and the larger one comes in a completely new size. A new iPad Pro concept has recently appeared on the Internet. 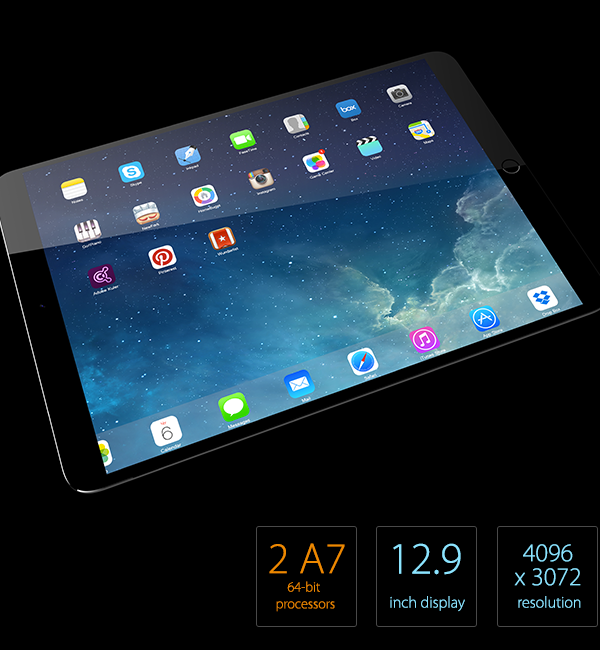 It features a 12.9-inch display and I must admit it looks pretty good. 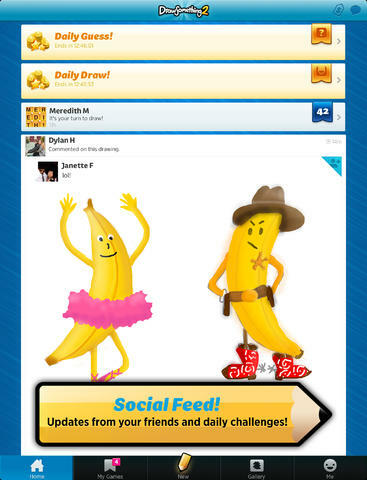 The concept is based on the rumors about a larger Apple tablet, which first appeared on the Internet last summer. 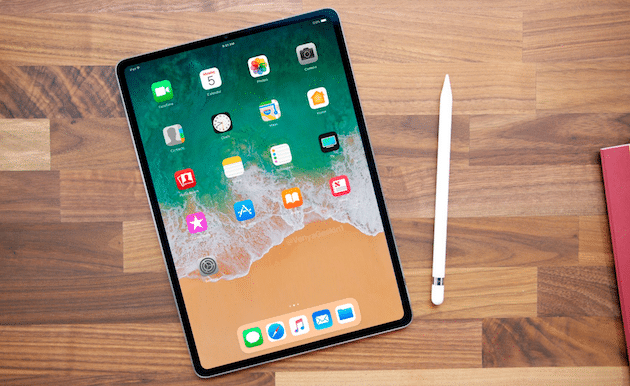 Back in July, The Wall Street Journal reported that Apple was indeed working on a 12-inch iPad, however, a couple of weeks ago an unknown insider informed that the development of the tablet is for some reason paused. Sonny Dickson has published some photos showing a leaked ‘space grey’ and silver iPad 5. 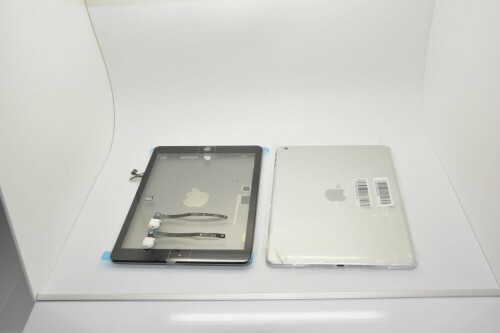 On the images, however, you won’t see the assembled device - only its front and back panels along with some flex cables. 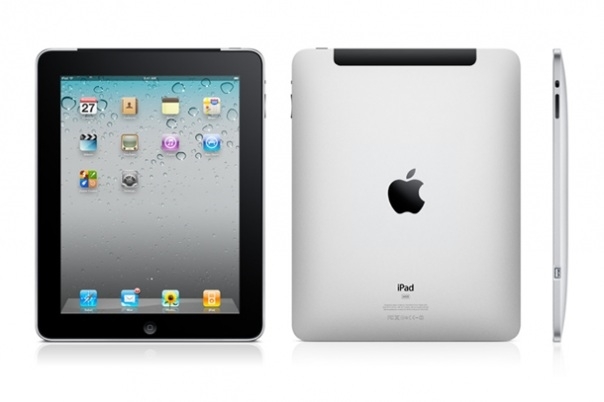 According to the KGI Securities analyst Ming-Chi Kuo, Apple is planning to launch the iPad 5 and iPad mini in the last quarter of 2013. 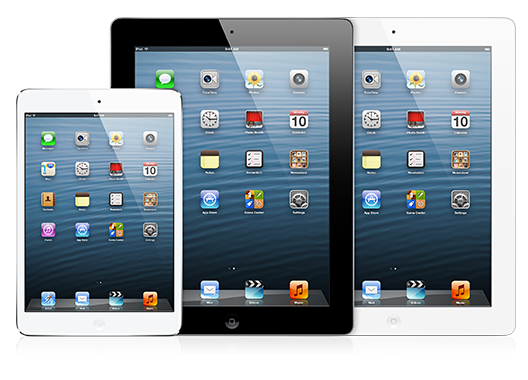 Apart from that, Kuo thinks we should expect the arrival of something like a ‘lower cost iPad mini’ in 2014. 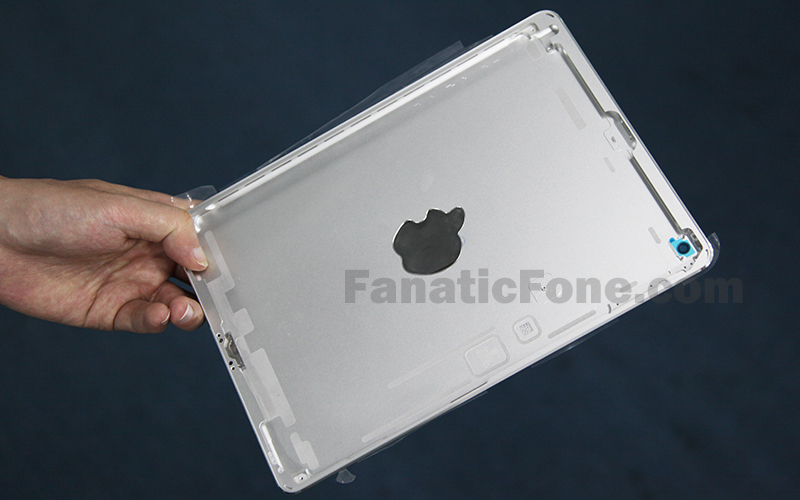 New photos of the rumored iPad 5’s rear shell leaked online. 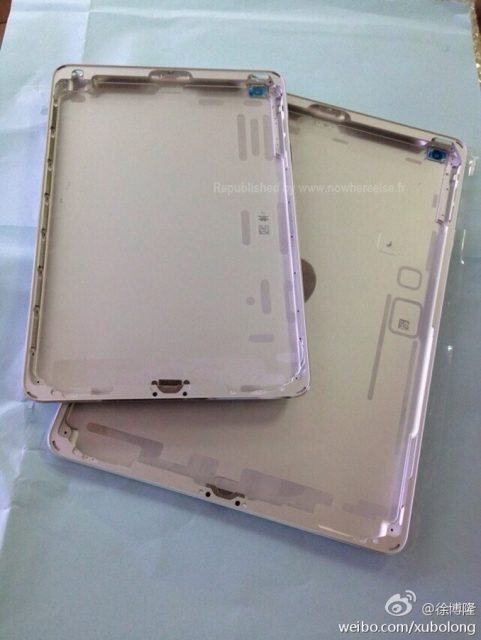 According to nowhereelse.fr, the images below show how the back panel of the would-be Apple tablet is different from the current iPad 4’s shell. 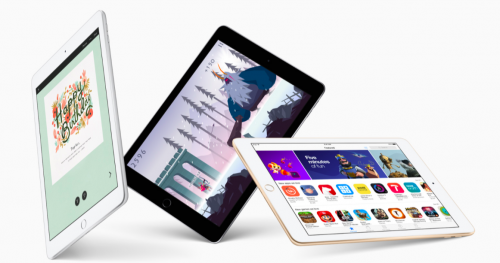 According to the latest Bloomberg report, Apple will release its new iPad and iPad mini in the final three months of this year. What that means is that at the media event, which is to take place on September 10th, we shall see only the next generation iPhone. 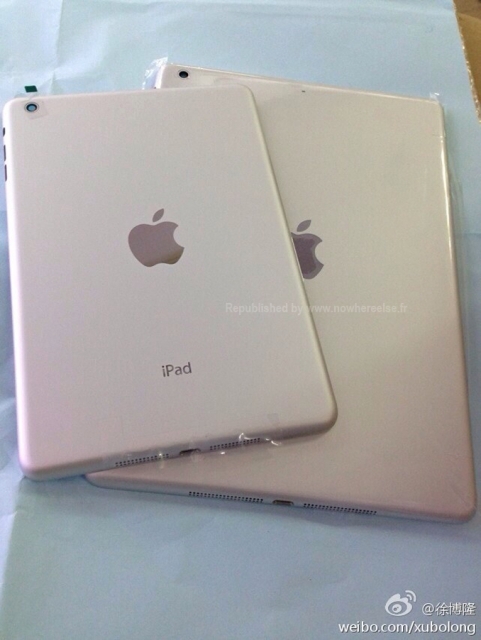 Our great sources have given us TWO unreleased iPad 5 rear housings, which shows some new exciting features. 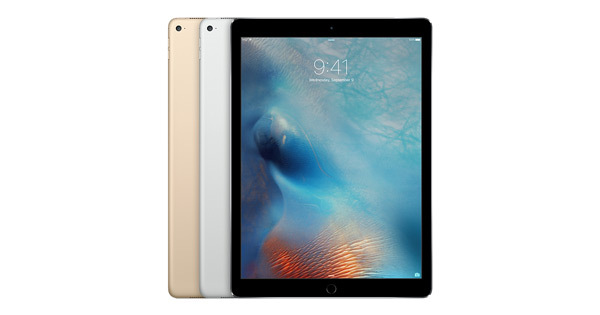 The iPad 5’s dimensions are surprisingly enough 24×16.8 cm and weighs only 100 gram, which is clearly both shorter and lighter than its predecessors.